InCom is Now CTC Business! – InCom is Now CTC Business! 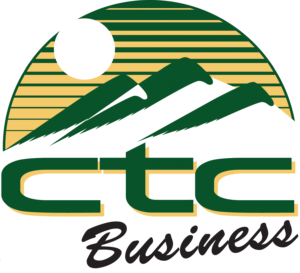 InCom is Now CTC Business! InCom has grown rapidly over the past few years and we have clients like you to thank for that. We are dedicated to providing our customers with the tools they need to grow their business. And while the technology is constantly changing, our dedication to serving our clients with the best customer service remains steadfast. To demonstrate our dedication to always improving the customer experience we are uniting the InCom brand with our parent company, Cambridge Telephone Company, who has been dedicated to friendly, personal customer service since 1905. Thus InCom will be rebranding and changing its name to CTC Business. Our new look also brings us more resources to better serve our customers. As our support team grows you may hear some new voices but behind the scenes, we are still the same company and team, committed to providing you with the best possible products and services. What this means for you and our existing clients is that it’s “business as usual”, and we will of course continue to execute projects with the same, if not better, level of excellence and professionalism you have come to expect. As we further emerge into this exciting phase of growth, we’d like to take the opportunity to thank our loyal clients and business associates. Without your ongoing support, this exciting evolution of our company would not be possible. We look forward to sharing with you this next phase of our journey as CTC Business and continuing to enable your success. All our phone numbers remain the same so if you have any questions please feel free to give us a call at 208-229-9000.